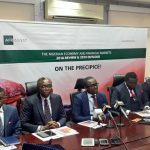 Afrinvest Securities Limited (“ASL”) is the licensed broker dealer and subsidiary of Afrinvest (West Africa) Limited (“AWA”) a boutique investment banking firm in Nigeria with a primary focus on West Africa. AWA was founded as Securities Transactions & Trust Company Limited (”SecTrust”) in 1995. SecTrust was organized as an integrated securities brokerage, asset management and investment research firm with an enviable reputation in the Nigerian financial services industry. In 2005, Afrinvest International made an equity investment in SecTrust which led to it changing its name to Afrinvest (West Africa) Limited. In 2012, the Stockbroking business of AWA was spun off and transferred into a separate subsidiary Afrinvest Securities Limited. AWA has built a track record over the past 18 years in executing transactions within its principal areas of business and prides itself in: (a) Thorough knowledge of the Nigerian market, business communities and the regulatory environment; (b) Careful, fact-based analysis and recommendations; (c) Complete corporate independence and discretion; and (c) The delivery of innovative solutions tailored to the specific needs of our clients. Deal of the Year 2010” award by EMEA Finance for our role as Joint Financial Adviser in the N2.095 trillion Merger of Dangote Cement Plc and Benue Cement Company Plc. 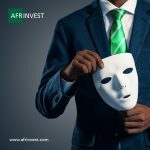 Afrinvest Securities Limited combines the experience, expertise, infrastructure and network of Afrinvest (West Africa) Limited for the purpose of delivering award-winning capital markets, corporate finance, asset management and research & data services to investors and institutions operating across Nigeria and abroad. Afrinvest Securities Limited provides efficient and transparent stockbroking execution capability to both Individual and institutional investors in Nigeria and across the Globe. The Company leverages on its robust Information technology infrastructure, award winning research team, and Institutional sales teams with direct access to a large number of Institutional investors. Clients also benefit from new investment opportunities including initial public offers and other capital raisings administered by the Investment Banking Team. 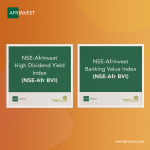 Afrinvest Securities Limited a dealing member of the Nigerian stock Exchange is regulated by the Securities and Exchange Commission as a broker-dealer. At Afrinvest, Africa is neither ‘exotic’ nor ’fringe’. We are and will continue to be focused exclusively on the region and on financing African businesses and projects. This dedicated approach enables us to understand the specific risks, limitations and challenges of each opportunity. Whilst many international financial institutions view Africa mainly in terms of risk, our approach is to identify first the genuine opportunities present in the region and then to evaluate and manage any risks. We invest significant time and resources in monitoring social, political, macro-economic and commercial events that could affect the activities of our clients. We share this knowledge with clients and partners on an on-going basis through regular dialogue and written publications, as well as bespoke research. Local market knowledge and research is fundamental for our success, as well as being an important tool for both advisory and trading activities. Afrinvest has developed a close working relationship with most of the international institutional debt and equity capital providers with an interest in Africa. Clients can thus be confident of benefitting from an informed and focused approach to accessing relevant international investors and lenders. As guiding principle, Afrinvest Securities Limited is driven by the core values of professional excellence, integrity, team work, entrepreneurship, commitment and strong corporate governance. ASL strives to continuously exceed our clients’ expectations. As your success is our success, we are here to add value to your bottom line. ASL is as an independent broker and unaffiliated to a commercial bank. As such we avoid conflicts of interest in executing client’s orders. Our services are transparent and comply with all statutory rules, regulations and codes of conduct relating securities trading. We believe that our clients’ trust can only be earned by professionals who demonstrate a high standard of ethical conduct and corporate governance. ASL’s philosophy is that effective work is the result of teamwork and each employee is responsible for the maintenance of high standards in everything they do. The Board of Directors for Afrinvest Securities Limited consists of four members. It meets on a quarterly basis and is responsible for setting the Company’s strategic goals and evaluating overall business performance. Our Executive Management Team consists of Individuals who are behind the everyday running and decision-making decisions at Afrinvest Securities Limited.